Our place, Moggill Haven, is situated in the Brisbane suburb of Moggill. 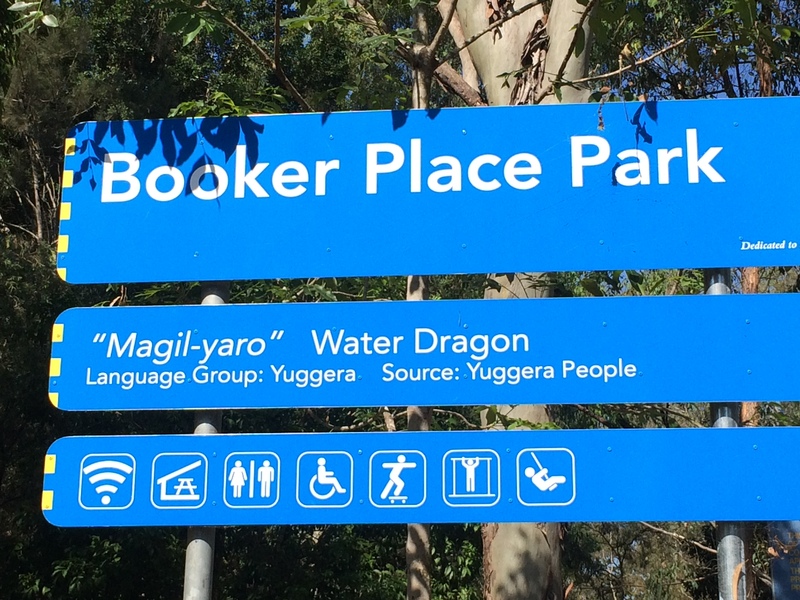 Brisbane City Council has chosen an Aboriginal source for the meaning of Moggill as this sign at Booker Place Park in Birkin Rd Bellbowrie explains. On a trip up river to Ipswich, about 1855, on the steamer “Swallow” , we called at a place which some people then spelt ‘Moghill’ and I thought what a strange name ‘Mog’ was for a hill. The elderly locals informed us when we came in 1968 that a Mr Mogg had lived here in the 1840s, and the postal or delivery address became Moggs Hill. There are still people named Mog or Mogg in Ipswich. 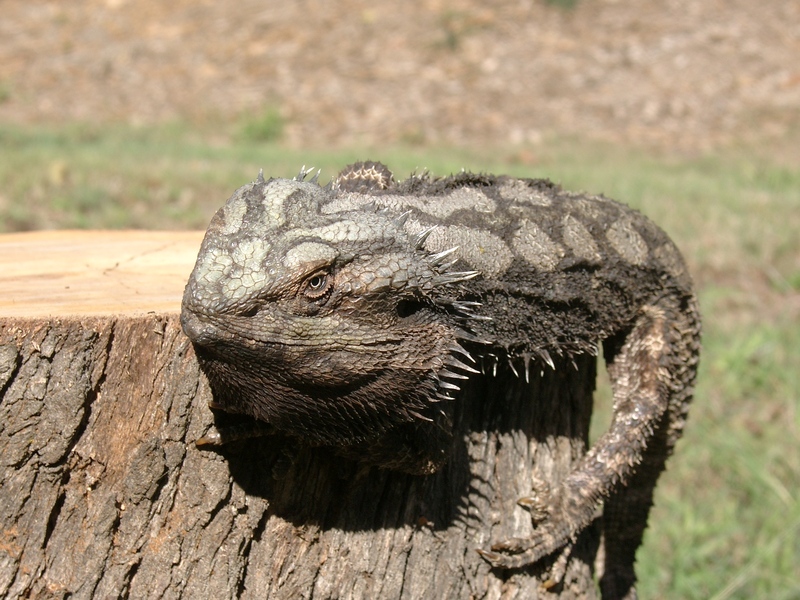 If you wish to learn more about the Eastern Water Dragon, Physignathus lesueurii, (and how it differs from the Eastern Bearded Dragon, Pogona barbata) the Queensland Museum has a fact sheet online.There can be some confusion between these two lizards as the following example shows. 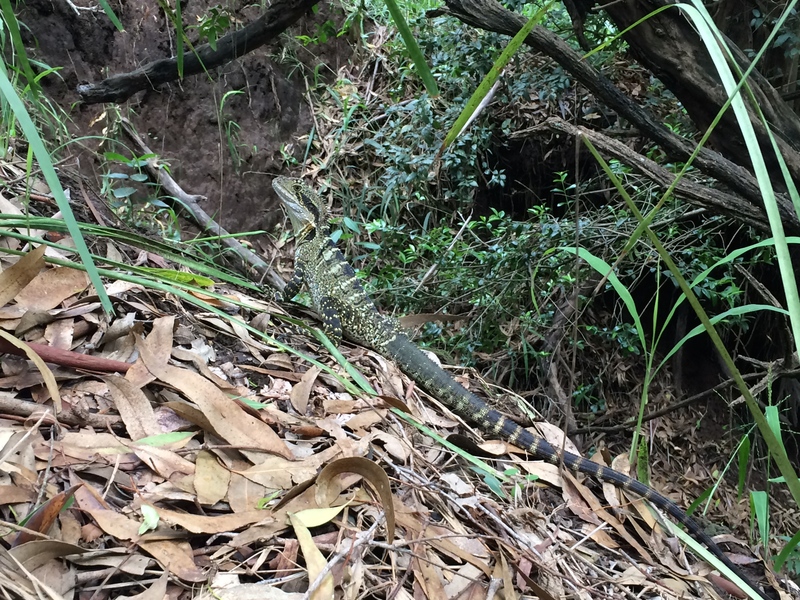 Whatever the derivation for Moggill may be, we will continue to be enchanted by our encounters with Eastern Water Dragons. Very interesting! I grew up in Moggill/Bellbowrie, and my understanding was it was based on the Aboriginal word “Maggil”. It would seem the Mogs Hill version is backed up with a little more evidence though!